What: The 78th Police Precinct’s chilling, third annual Halloween Haunted House here. This is a scary, things jump out at you kind of experience, not for the faint of heart or young of spirit (or me!). 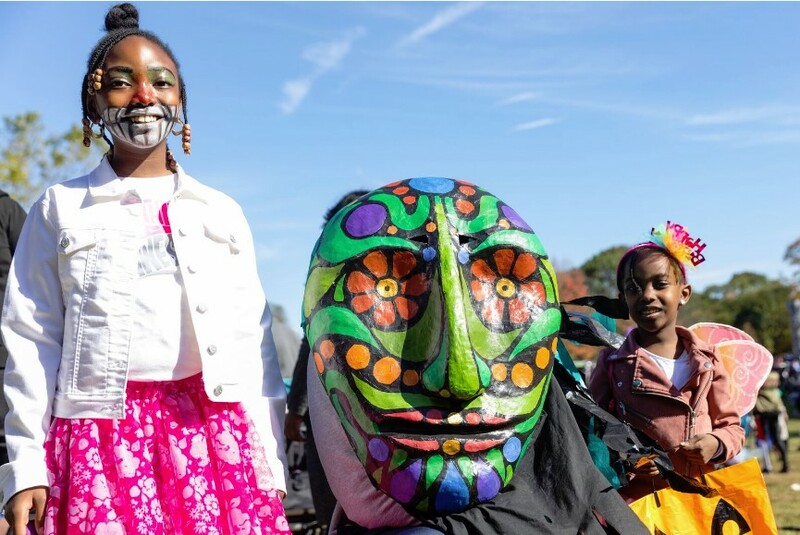 When: Saturday, October 27, 2018 12 –5:30 p.m.
What: Enjoy spectacular shows and weird workshops, meet local authors and illustrators at the book barn, and join in on the day’s grand finale: Brooklyn’s wackiest costume parade, featuring colossal puppets, giant drums, and stilt dancers. Brooklyn BOO! Prospect Park After Party at City Point. What: Costume contest, photo booth, pumpkin patch, Nail Art, Face painting and more! Get your costumes on and join us at PS 282 for an afternoon of Halloween fun! A sizzling BBQ by one of our fabulous chef dads will entice visitors young and old with burgers, hotdogs and corn, a variety of spooky treats will be available at the cake stall and all children will love the carnival Halloween themed games in the gym, getting their faces painted and rocking out in our costume parade and dance party! For older children looking for a fright, we are unveiling a frightening spooky room and for the little makers we have a place to chill-out and craft. Great way to escape the cold, have fun for the whole family and get in the mood for Halloween while supporting our lovely school, can’t wait to see you there! What: Not one but two parades at 11:30 am and 2:30 pm. Playhouse, arts and crafts, face painting and trick or treat at the food mall. How much: Suggested $5 donation per day of event entrant. What: The 17th Annual Fort Greene Park Halloween Festival. Rides, games, prizes, face-painting, crafts, live music, and more! Pumpkins, Pirates, Pizza and Parades! The PSP Halloween Costume Contest and more! When: Sunday, October 28, 2018 12:00 p.m.–3:30:00 p.m.
How much: free to enter the halloween contest, pumpkins and pizza pay as you go. What: Wear your Halloween costume, with prizes for best in show! Plus, paint pumpkins and make pizza in the Old Stone House outdoor oven. The day will end with a mini-parade around the park with band Paprika; great for little ones who can’t make the larger parade on the 31st whch starts at 6:30! The animal rescue's 11th Annual Howl-o-ween Bark Block Party presents games, crafts, DJ, live entertainment, raffles, animal welfare information booths and pet adoptions. Costume contest and howling contests for kids and dogs. Sign up begins at noon for contests. 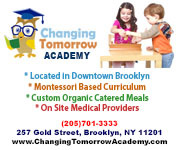 What: An annual Halloween parade followed by a bake sale, crafts, and playground fun! What: Fort Greene Pups' 19th annual Great PUPkin—”Brooklyn’s largest and most outrageous dog costume contest." Watch cutie pattutie dogs compete for one of ten Great PUPkin rosettes with prizes donated by local businesses. Where: Parade Start 14th Street and 7th Avenue, ending at the Old Stone House at Washington Park on 5th Avenue between 3rd and 4th Streets. 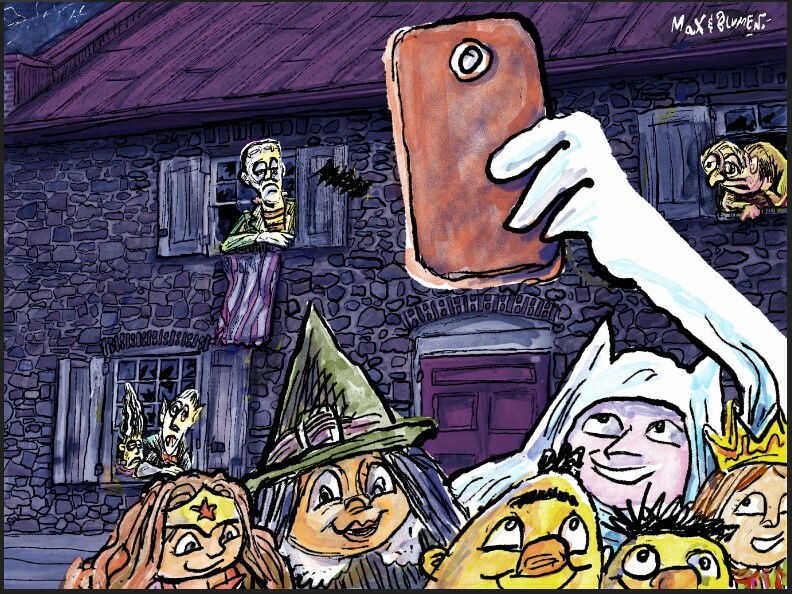 What: Children of all ages, including the young-at-heart, are welcome to join in the largest children's Halloween parade in the United States. Please let the paraders pass and join at the back! What: This is a Ft. Greene based Halloween block party. Family-friendly music and mischief kicks off at 4pm! How much: $12/$15 day of show - VIP tickets available. What: A 21 and over benefit for The Center for Anti-Violence Education. Every year, on Halloween, The Occasionalists do a special Rocky Horror Picture Show live karaoke night in which they play two complete live karaoke sets of the movie soundtrack with singers from the audience doing all the lead vocals. In between the two sets, they have a costume contest with some great prizes and there is also a raffle in which one can win, among other things, two round-trip airfares. To make the show even more fun, we have NYC RHPS who are the longest running group of Rocky Horror shadow casters (the people who act out the movie in front of the movie) who perform with the clips. Last but not least, the show is a benefit show for The Center for Anti-Violence Education, a Park Slope-based organization that "develops and implements comprehensive violence prevention programs for underserved individuals and organizations. https://caeny.org. The band proudly donates all proceeds to CAE.VIP package includes open bar (beer, wine and well cocktails) from 7 -9pm and a gift bag.